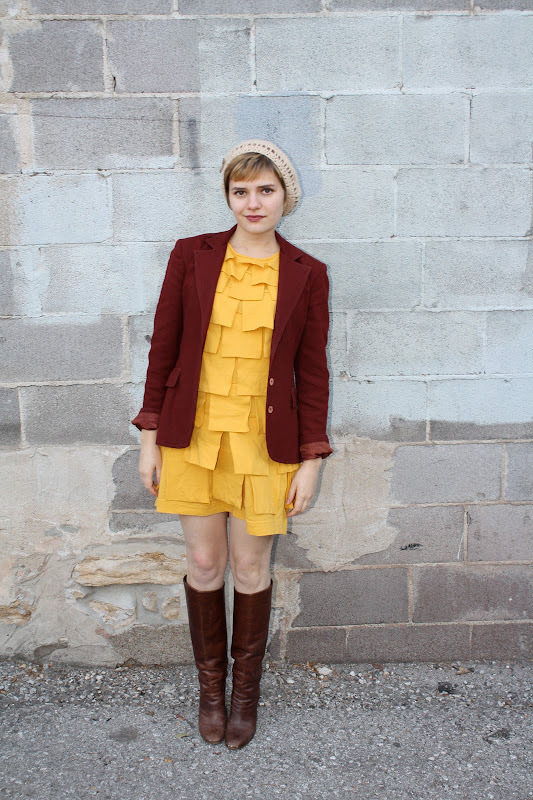 What an adorable and sunny little dress! I really like the pairing with the cranberry blazer as well. Love the outfit, very pretty dress and gorgeous blazer and boots! I love gold and dark red together! You look like a hipster flower, in all the good ways. I love these fall colors together! The pattern of the dress is so interesting and I love it paired with the blazer and boots! Isn't that weird how that happens sometimes-- a few seasons later you find you like something again. I love all these colors paired together. love these colors so perfect for fall! you look great! I am glad you gave it another chance! it is a stunning and very unique dress! Yay for yellow! This dress is fantastic! I think I might need to own one. Gasp! I love this dress. L-O-V-E! Love it :) Great dress, beautifully styled! This dress is like a fashion designer's geometric take on Big Bird. Which I consider a compliment, this is a stand-out outfit! GREAT color combo!! looks awesome.. that yellow dress it totally amazing on you too!! I love the colours and your dress is very cute. This looks awesome together! So unexpected, but so cool. I think it's the colors and weighted fabrics that make it seem so lush. AS always, you're such a sweet dresser. Love this dress! I'm glad to see it again! 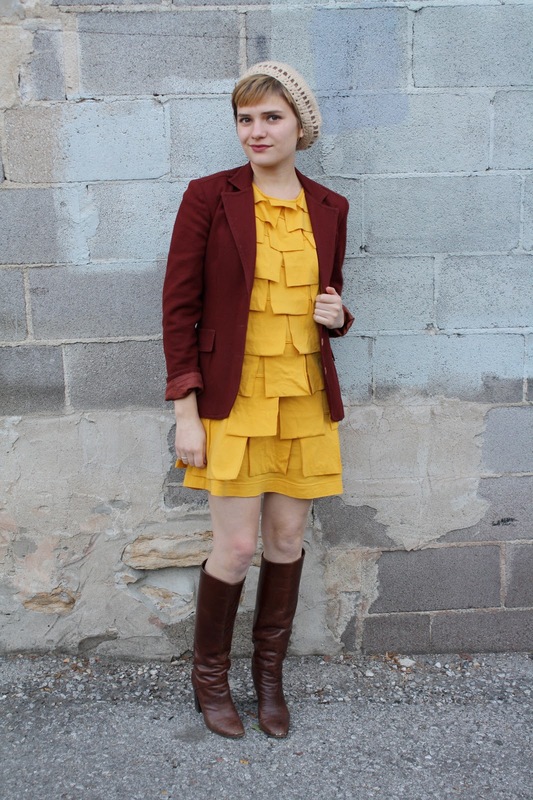 maroon and mustard are such 70s colors (and i love them) and you make them look so modern. great look! This dress reminds me of post it notes! Hehe, it's great! ahhh, the dress! the dress!!!! This entire look is DELICIOUS! OMG I'm absolutely obsessed with this dress!